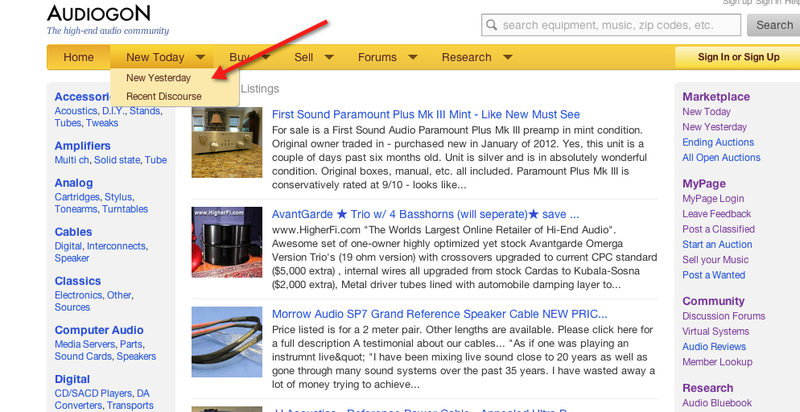 You’ve asked and we listened – you may now browse New Today separately from the search function. Clicking on “New Today” will show you today’s updates in this order: Featured Ads, New Auctions, Demo Listings, Classifieds, Music, Forums, and Wanteds. By hovering your mouse over “New Today” on the homepage, you can also view New Yesterday listings, as well as recently updated Forum discussions. But for those who wish to search rather than browse you may find specific items by clicking on Buy (Home Page) and using our recently developed search platform. We hope you enjoy this newly added option to browse New Today! If you have any questions or comments, please contact the Support Team here.